Book Purism vs. Digital Material: A Sentimental or Genuine Battle? I opened my New York Times newspaper this morning, and was intrigued by this article about how reading books on e-readers may disrupt the reading experience. I’ve heard the argument many times, how offering the internet on the same device that provides your reading material almost guarantees your focus will be disrupted. Some even maintain that it’s not about the internet, that simply switching from the printed codex to a limited digital screen also impairs how we cognitively perceive words on a page. I stopped reading and thought about what I’ve heard about the differences between printed and digital books. I remembered hearing about how back in 2009, Amazon erased the digital book Animal Farm on Kindle owners’ devices due to copyright issues; even though the customers were refunded, it seemed appropriately Orwellian that an online company could have the right to delete something people had already purchased (due to copyright today, due to subversive material tomorrow?). I was also reminded of the article from yesterday’s newspaper about how Brewster Kahle, founder of Internet Archive, has invested $3 million to store countless books in a warehouse north of San Francisco, “in case of digital disaster”. Who’s to say we’ll have permanent access to online content forever? As a firm believer in the oncoming zombie apocalypse, I’m thrilled someone is taking initiative to preserve print materials. All joking aside, I find my opening paragraph to this piece ironic to begin with, since as much as I would have liked to, I didn’t actually “open” a newspaper at all to read these articles. I read them on my NYTs digital subscription online, which is also available on my Kindle. Although this is only because the New York Times utterly failed at delivering my newspaper every week anyway, so don’t take me as an example for championing e-reader newspaper subscriptions. My point isn’t to argue for or against digital content (there are plenty of thorough books and articles which address that). I’m more interested in why the argument actually takes place, what are people’s motivations for adding their voice to the debate. No matter what their position, I’ve noticed people tend to have strong opinions on the matter. Being a student of the humanities, I have plenty of friends (mostly English majors) who wail at the decline and financial woes of print publishing, cursing the day e-readers stepped into the spotlight. 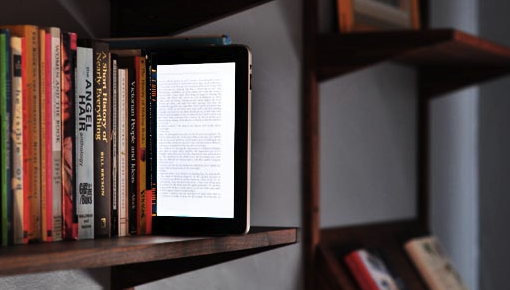 I have other friends who find e-readers the answer to their tech-prayers, providing incredible convenience and eliminating the need to accumulate pesky, corpulent books in small living spaces or travel bags. The book purists shout that digital books are an abomination. The techies declare that the purists are outdated Luddites unwilling to change. I think the reason the issue gets very emotional, very quickly, is because it is commonly perceived that where you stand on the print/digital issue determines what kind of a person you are. Especially for fervent book-lovers, support of e-readers often is viewed as tantamount to a betrayal of literature. 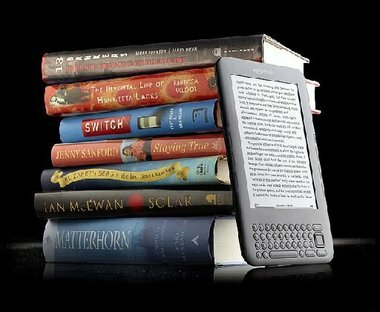 Embracing e-readers seems to imply support for a technological future, and thus for a world devoid of human connection and real-time interaction. I guess my real question is: when did the reading debate become a matter of sentimentalism vs. progress (for the pro-digital), or a matter of loyalty vs. selling-your-consumerist-soul (for the pro-print)? All I have to offer is my own experience. I love books, and yes, not just for their content but for the beauty physical objects they are. I often do enjoy newer, nice editions versus crumbling, out-of-date used copies (sorry die-hard, used-bookstore fans). I was given my Kindle as a gift, and use it to read the paper (despite my love for print ones) because yes, it actually DOES get delivered to me without fail that way, no matter where I am. Despite my very limited living space, I inexplicably buy print books instead of buying them on my Kindle (I would never choose a digital book over a print one). But does that mean I would reject a digital gift? Probably not. So my place in the ongoing debate is probably unsatisfactory to both sides. I’ll see you other middle-grounders in book hell. Author’s Note: I should also add that this recent emotional emphasis on the debate pertains primarily to those who’s livelihoods do not depend on the outcome of the print vs. digital war (i.e., I would not accuse a bookstore owner of support print publishing merely for the sake of sentimentality). This entry was posted in Current Events, Literature. Bookmark the permalink.